Join today and see the world is not just a slogan for the US Navy; AWCP members get to do the same. Please refer back to AWCP Event Calendar for scheduled tours. Please remember to return your signed Tour Waiver for each tour. 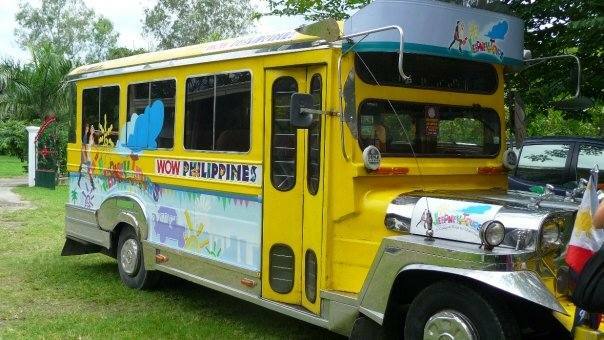 Day Tours: Day tours are a fun and exciting way to experience the Philippines with fellow Club members. We will be touring historical sites, factories, restaurants, and places of interest on our tours. There are many sites that are off the "beaten path" for newer members, and those are our specialty! All day tours will conclude within the day...some will take the majority of the day, and some just a portion. Estimated time for the tour including travel will be posted on the flyer. Our goal is for you to learn shop and have FUN! Longer Tours: From overnight trips throughout the Philippines to unique international destinations, members and their families will enjoy a variety of events. The AWCP plans all types of tours from adventure to cultural and for all ages. Check back for the tour that is right for you! An informational flyer will be sent to the membership minimum 2 weeks prior to the event. Firm cut-off dates to reserve your space on the will be printed on the flyer. Tours tend to fill up fast so reserve as soon as possible. Call the AWCP office for the cost of the tour, or the Tours Committee will also be able to assist you. Cancellations: Depending on the type of tour setup, payment may be non-refundable for last minute cancellations. Transportation: Is NOT always provided. If is safe to assume that you will need to provide your own, or carpool with friends going on the tour. Be courteous to others and be on time. For outdoor tours, bring a couple snacks and bottle of water, sunscreen, and a hat for heat and sun protection. Wear good sturdy and comfortable shoes. Heels are not recommended for walking tours. Make sure you have cash as there may not be a cash machine available. Most important-Bring your sense of wonder, curiosity and fun! Feedback is appreciated. Let us know how you like or didn't like the tour. We are looking forward to seeing you on tour!